Best Book Launch Tips: Gather Print Collateral Early! 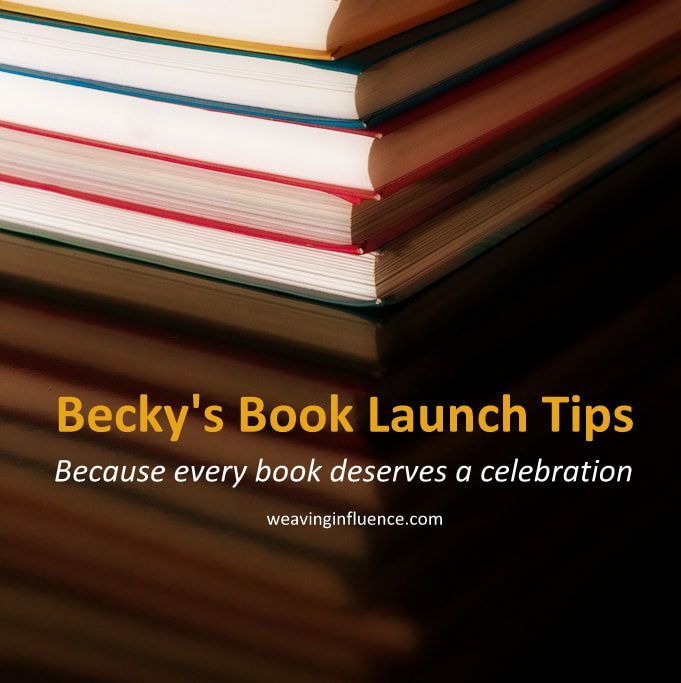 Consider, plan for, and order print collateral for your book launch — early. This is especially important if part of your book launch strategy includes speaking events, in person parties, or book signings. Business cards with your book cover and information about how to purchase your book and how to connect with you. Postcards to distribute with more information about you and your book. Large posters or banners for events. Bookplates — stickers that you can use to add personalized comments and share with readers when you can’t sign their books. Instead, you can send a signed bookplate that they can insert into the book. Printed invitations to in person events. Branded address labels for shipping books. Branded letterhead and stationary for notes to include with books, if you do not already have them. Work in advance to design (hiring a graphic artist, if needed) and order needed collateral will cut down on last minute scrambling and the need to pay for expedited shipping to receive items in time for events. The more you can complete far in advance of your launch, the less stress you will experience and the more you can enjoy the accomplishment of releasing your book into the world. 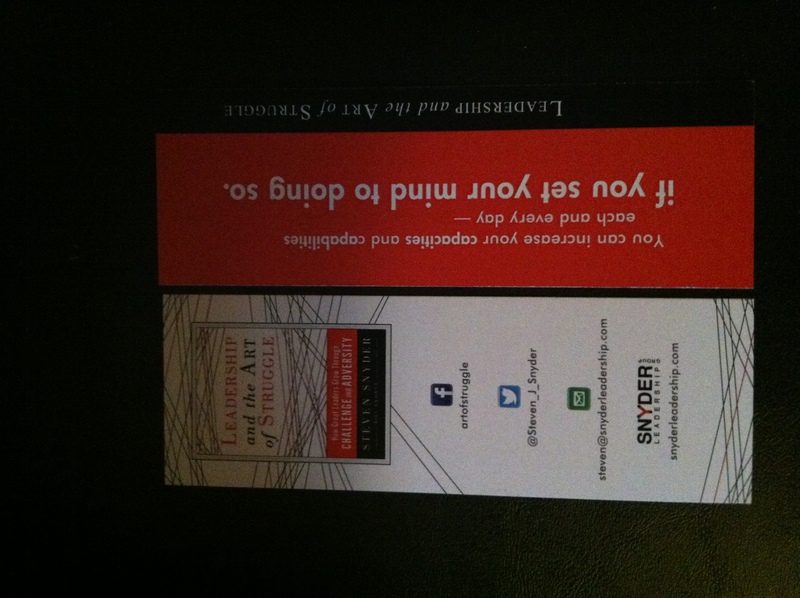 Here are some examples of collateral we’ll use for the upcoming launch of Leadership and the Art of Struggle. These designs are from Anthony Mejean. Tell me something! What worked for you? What print collateral did you use in marketing your book? What other advice would you have for authors related to print collateral?